Digité, Inc. provides collaborative Lean/ Agile ALM (Application Lifecycle Management) solutions for distributed software development, maintenance and implementation. 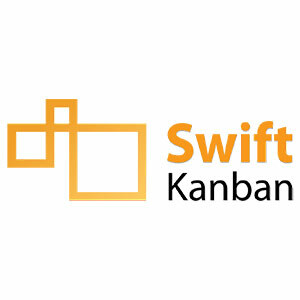 SwiftKanban is a visual project management tool that helps software companies, IT organizations, and other businesses adopt Agile/Lean principles to manage their work. The tool helps teams and organizations visualize their work, identify, and eliminate bottlenecks and achieve dramatic operational improvements in terms of quantity and quality. SwiftKanban provides users with an extensive set of features to help visualize workflow, define WIP limits, highlight trouble-spots, and get extensive, actionable analytics to help improve their overall process.